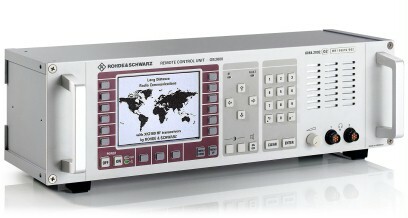 Remote Control Unit R&S®GB2000 enables the remote control of all transceivers of the R&S®XK2000 family. 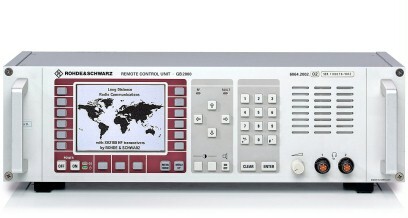 The use of R&S®GB2000 is recommended whenever detached operation – also over any distance – is required because of reasons of space or system layout (central control unit and radio equipmentare at different locations). 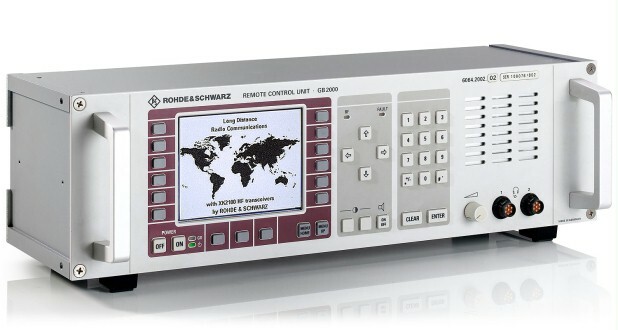 Remote Control Unit R&S®GB2000 enables the remote control of all transceivers of the R&S®XK2000 family. 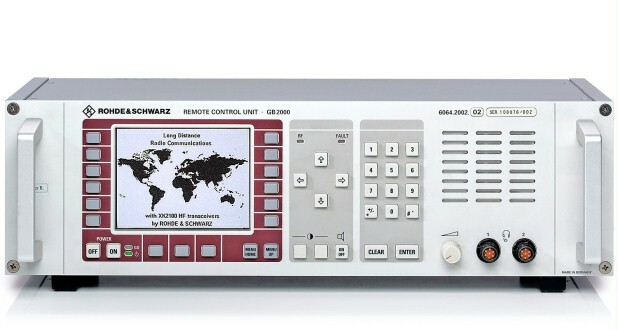 The use of R&S®GB2000 is recommended whenever detached operation – also over any distance – is required because of reasons of space or system layout (central control unit and radio equipmentare at different locations). An integrated,serial and bus-compatible interface affords point-to-point and addressable operation for up to 99 radios in a system. For more than 10 radios line drivers must be provided. At distancesless than 100 m (between R&S®GB... and R&S®XK...) a 3-core screened cable is sufficient. As far as the front-panel layout and operating concept are concerned Remote Control Unit R&S®GB 2000 is identical with the local operationof Transceiver R&S®XK2100 and Receiver/­ Exciter R&S®GX2900. An optionalswivel adapter allows the operator to make adjustments for optimal viewing angle and ergonomic operation.